Our Lady of Fatima asked us to pray the Rosary every day. 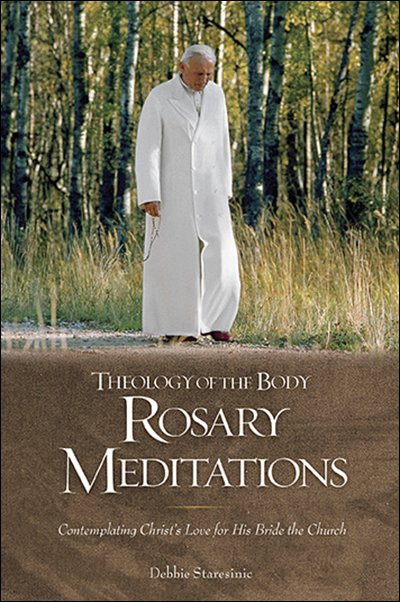 Our exclusive Theology of the Body rosary makes this daily blessing sensational. 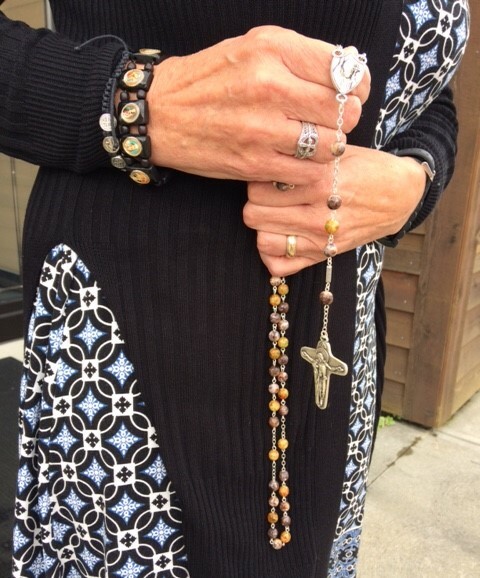 The first thing you’ll notice is the weight of this fine rosary in your hand. 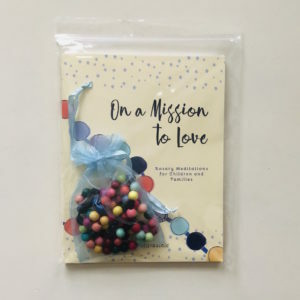 Made in Italy, the Bohemian glass beads are fashioned in rich brown, tan and autumnal colors forming a perfect complement to the TOB Rosary Meditations book — finished with Theology of the Body inspired Unity Cross. 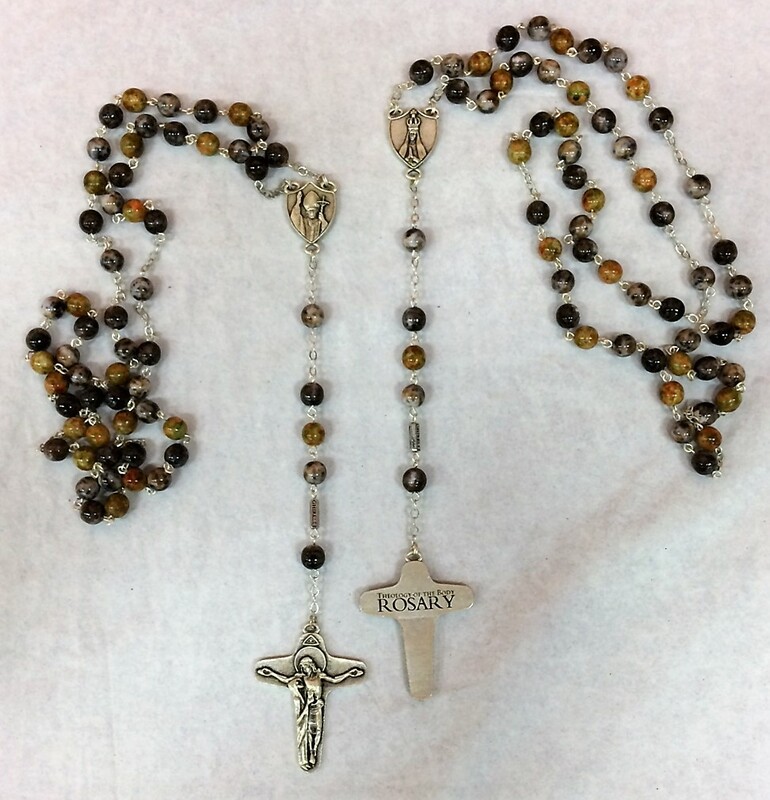 Our custom Theology of the Body Rosary is handcrafted in Italy by Ghirelli Rosary. 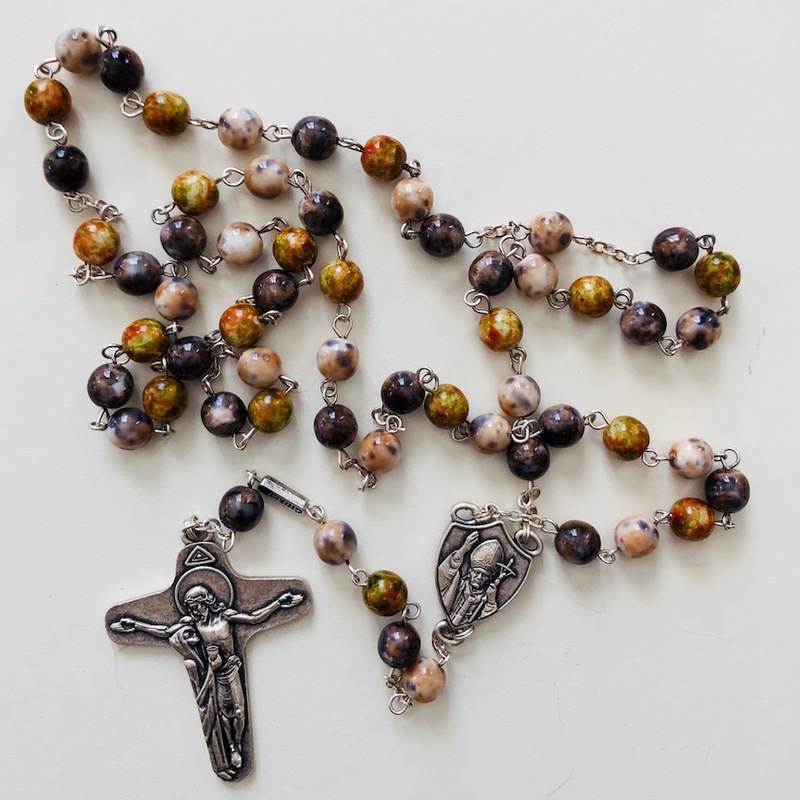 The 8mm Bohemian glass beads, in brown/tan/autumnal colors, with a custom crucifix and centerpiece featuring Pope St. John Paul II and Our Lady of Fatima, in an antique silver finish, create a beautiful look suitable for both men and women. 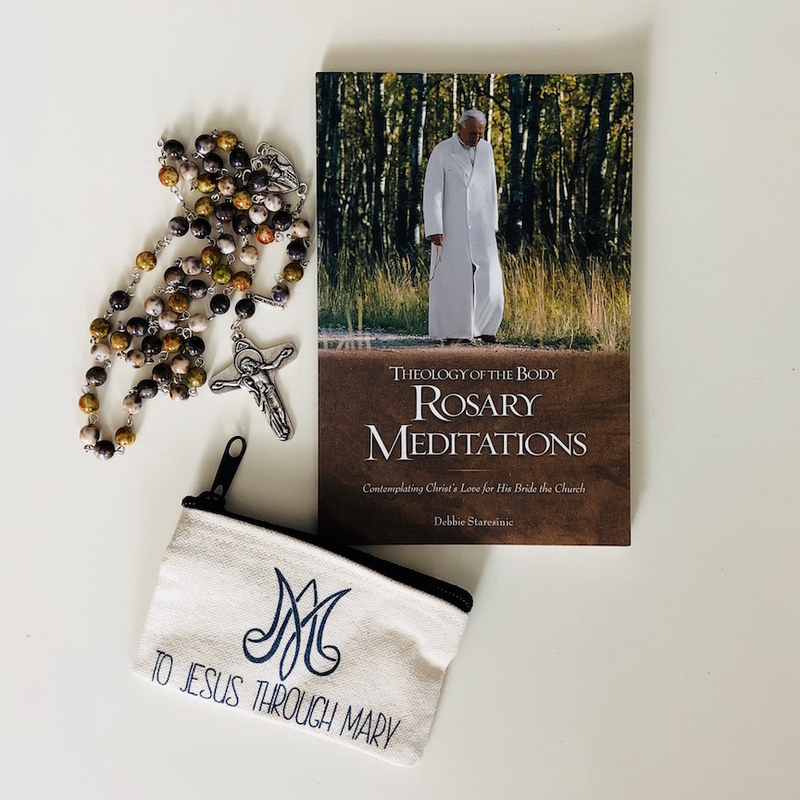 It comes with a handmade rosary pouch featuring a beautiful Crown Mary emblem and “To Jesus Through Mary” printed beneath it. 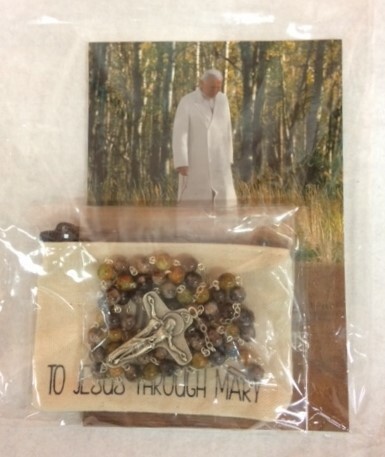 The crucifix, modeled after the Schoenstatt Unity Cross, displays the inseparable bond between Christ and His mother. 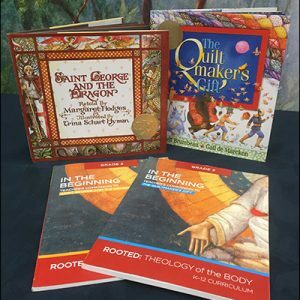 The intimate gaze between Jesus and Mary reminds us of the love of Christ for His Bride the Church. 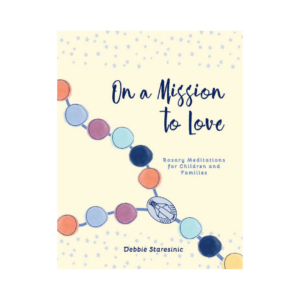 Christ gives his precious Blood and Mary, an icon of the Church, receives the gift in a chalice. 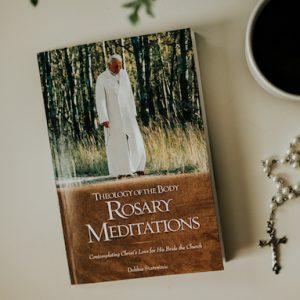 Serving as a reminder of our call to union with God and each other, this rosary is a perfect companion to our Theology of the Body Rosary Meditations book.